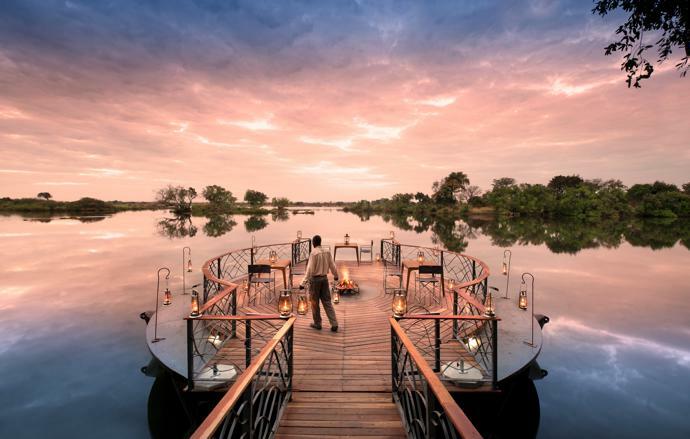 Located on the water’s edge, the safari-style suites at Thorntree River Lodge give the illusion of drifting down the Zambezi River on a boat. 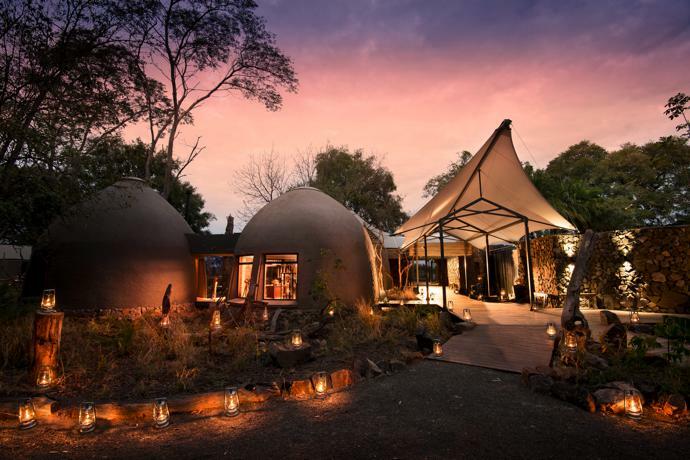 African Bush Camps – a safari outfit started by professional safari guide Beks Ndlovu – was until recently best known for its explorer-style camps in Zimbabwe and Botswana, including flagship Somalisa Camp in Hwange National Park. 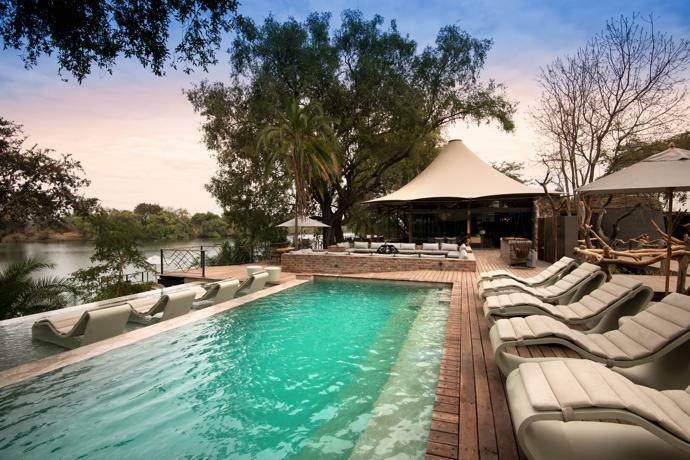 Ten years on, the opening of Thorntree River Lodge on the banks of the Zambezi is not only the company’s first foray into Zambia but also its hippest, most sophisticated property to date. 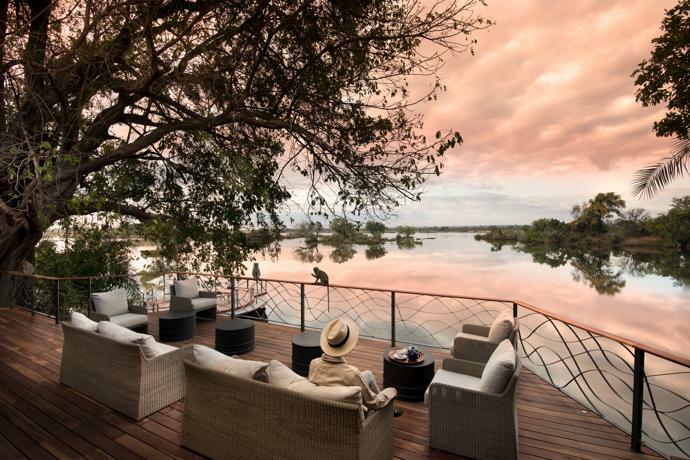 Located upstream from Victoria Falls in Mosi-oa-Tunya National Park, close to Livingstone, the lodge’s suites sprawl between a bird-rich wetland and the slow-flowing waters of the Zambezi. 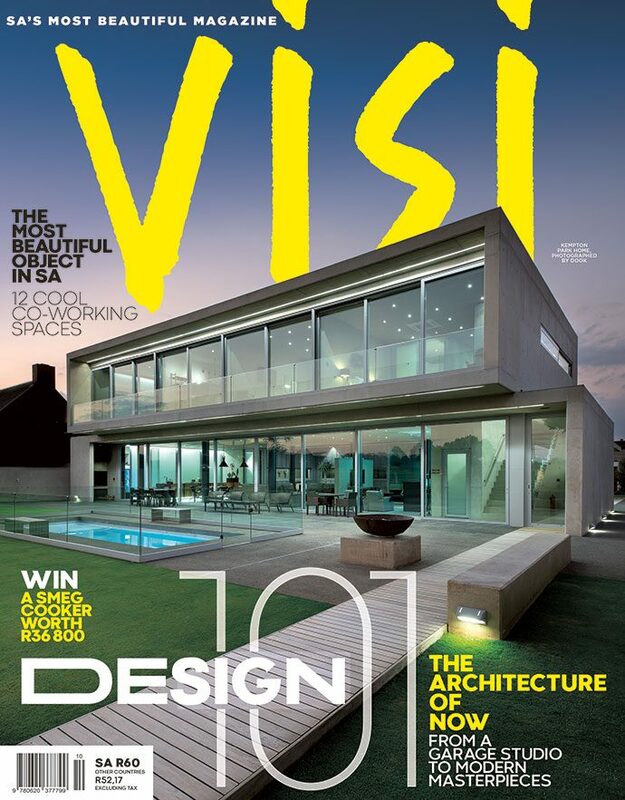 Each has a private pool and sunken outdoor lounge. 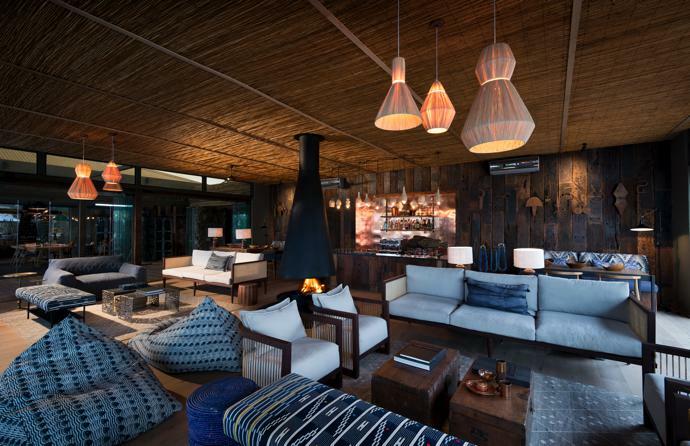 There’s a distinct safari camp ambience, but the main inspiration for Thorntree’s design was the Zambezi. 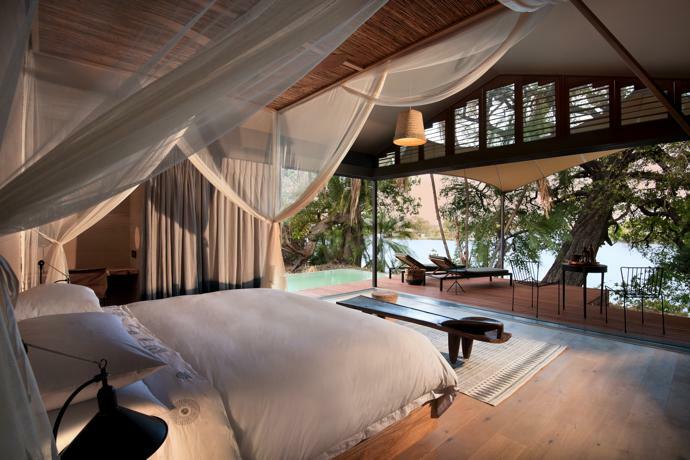 The team behind it comprised designers Alex Stovold and Cherry Hulley, Michael Kornmüller of Tenthouse Structures, builder Warwick McCance-Price of Inside Projects, and Fox Browne Creative, which collaborated with Alex and Cherry on the redesign of Somalisa Camp for Beks two years ago. 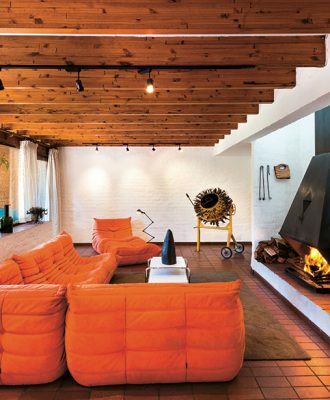 Chris Browne of Fox Browne Creative describes Beks’s style as a natural aesthetic sense of collectibles and layering, which is reflected in his camps and private homes in Zimbabwe and Cape Town. The overall effect is one of a collection that has no strict rules and no conclusion – a look that can be added to, layer by layer, over the years. 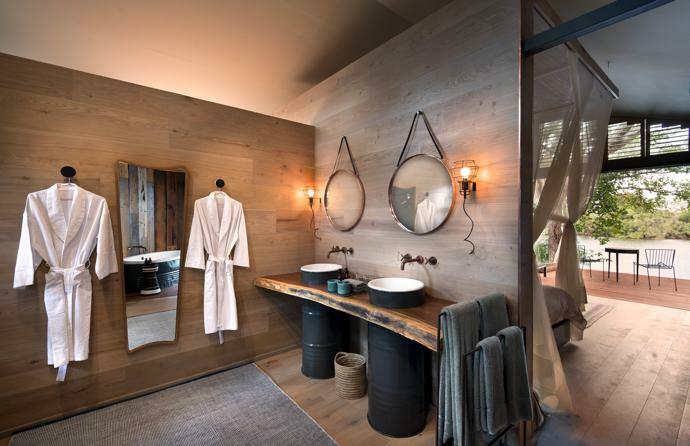 “Clean and uncluttered, the 12 suites are like shipshape river cabins, moored on the water,” says Chris, who worked closely with colleague Stefania Magni on the project. The understated nautical lines were inspired by the cruise boats that operate on the Upper Zambezi – although not here in the secluded private concession where Thorntree is situated. 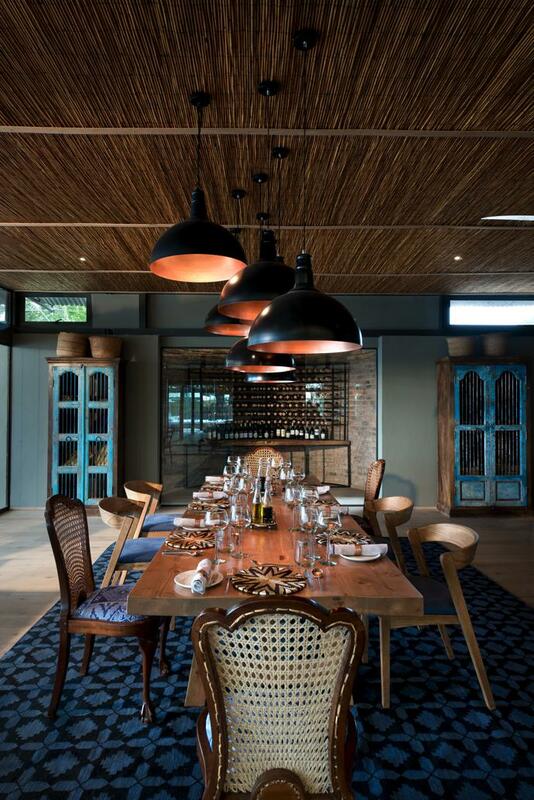 Key elements include tensile hightech canvas-like material forming the roofs, walls panelled in reclaimed railway sleepers, the sheen of Zambian copper sheets, and locally sourced reed ceilings. 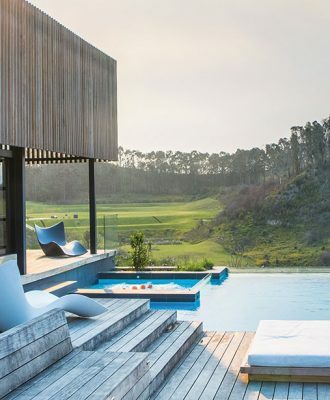 A calming palette of soft blues, from indigo dip-dyed curtains designed by Johannesburg-based artist Ira Bekker to cerulean fish-print cushions, completes the sense of floating down the river. A double layer of sliding doors on three sides of the suites include a steel mesh layer that functions as a mosquito net while securing the space. 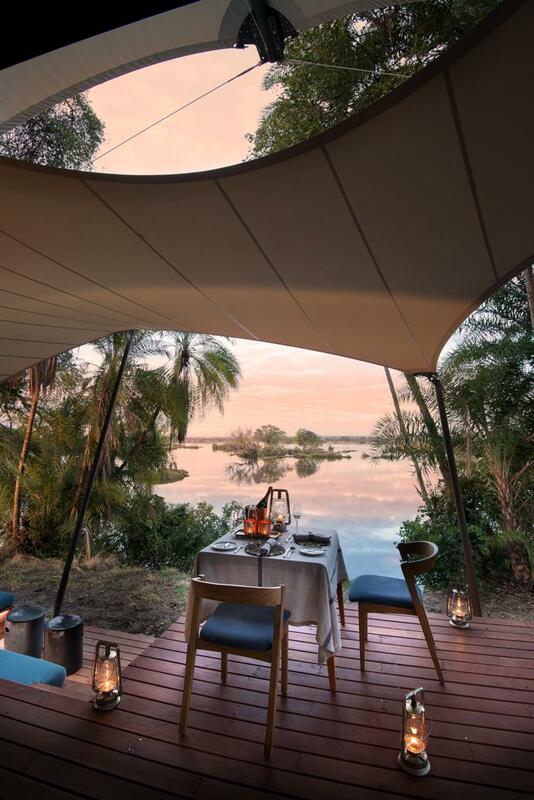 With the glass layer opened wide and the steel layer closed, a fresh breeze blows through the suite, and the sounds of hippos and birds can still be enjoyed. 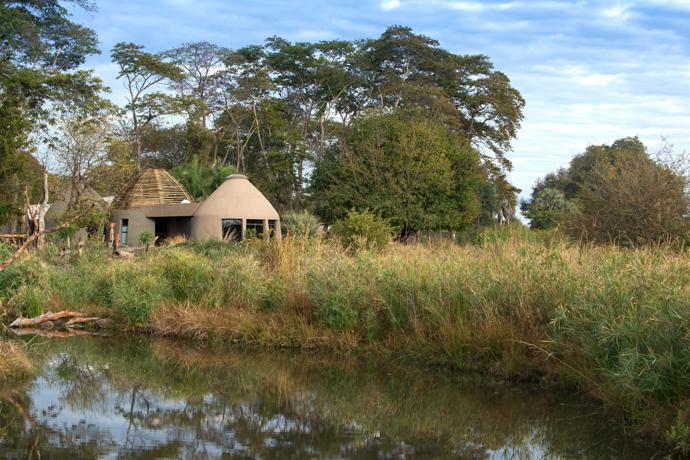 Further design inspiration was drawn from the Lozi, a group of people who traditionally relocated seasonally up and down the river following their king, for the design of beehive-shaped structures that house the reception, library, shop and spa. In the main areas of the lodge, floor to ceiling glass stacking doors were the obvious solution, blurring the boundaries between the river and sophisticated spaces for relaxing and dining. The furnishings are a mix of second-hand pieces and Mid-century Scandi furniture such as rattan sofas and curved slatted chairs. Fine designs and luxury amenities aside, Beks is quick to point out that he is not a hotelier. “As safari camp operators, we’re used to canvas and being immersed in the sights and sounds of the wild. 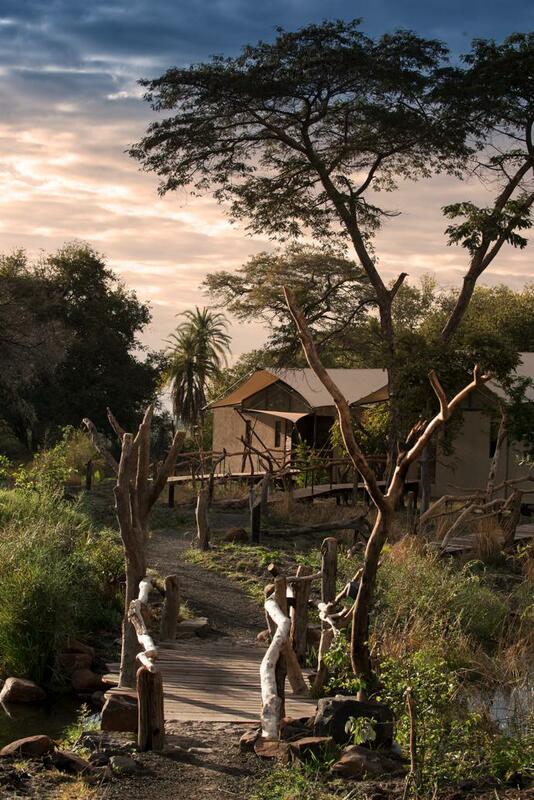 We wanted to bring those elements into play here, while also providing our guests with an easy transition from the intimacy of a small bush camp to a lodge close to Victoria Falls – as an antidote to the bustling hotel experience more typical of the area.” Mission accomplished then.